After playing a reed for a long time, you may start to notice a patch of dark gray or black forming on either side of the reed. Know what it is? It’s MOLD! Oh yuck! Throw it away! Why? What if it still plays well? Just clean the mold off the reed and it will be as good as new. The only materials you need are an old toothbrush, a bottle of hydrogen peroxide, and a sink. 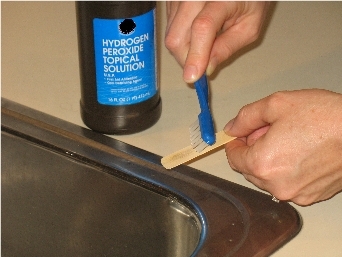 Dip the toothbrush in the bottle of hydrogen peroxide. 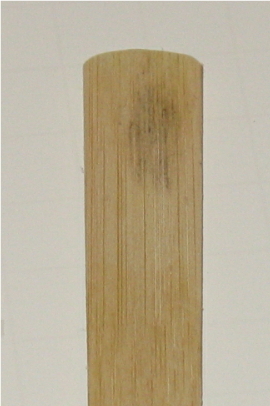 Scrub the mold off using straight strokes toward the tip, without touching the tip. Do this until the mold disappears.